It doesn’t matter now who would’ve won the single engine fighter contract. What matters is the difficult road ahead, and that’s why the F-35 makes sense. My first reaction when I heard the news that India’s Ministry of Defence had cancelled the request for proposals for single-engine fighter (SEF) aircraft and asked the IAF to work on a fresh proposal that looks at both single and twin-engine platforms was one of dismay. I even tweeted that the IAF would need divine intervention to get to a strength wherein it can really be counted as a deterrent and coercive tool of war fighting, and that Islamabad and Beijing may be raising a toast to India’s muddled and fractured combat aircraft procurement process. Aggravating this dismay was the full steam at which the People’s Liberation Army Air Force (PLAAF) was rolling out the J-20 with a startlingly diverse array of aerial weapons and investing heavily in a next generation fighter too. Not helping matters was a well-researched piece by ThePrint’s Manu Pubby that asked searching questions about the viability and sustainability of the Indo-Russian Fifth Generation Fighter Aircraft (FGFA) project, considering that the Russians were pushing for a commitment that would be a point of no return (PNR) for the Indians. For those interested, in aviation parlance, PNR implies that an aircraft has gas only to reach its initially intended destination. Let me state upfront that I am not a test pilot, nor have I been an acquisitions man in any of my previous avatars, or a consultant earning big-bucks within the defence-industrial complex. I am a military and air power historian, and most importantly, an ardent supporter of Indian air power, and of the IAF as an effective tool of statecraft and a decisive factor in joint operations. However, as an optimist, I did also reflect on whether there was a silver lining behind this latest decision. The road ahead will call for some tough decisions, some mid-course deviations, and adequate contingency planning. I am not going to procrastinate for one moment on whether the Gripen or the F-16 would have won the SEF contract – that is history. I am going to reflect on the buzz going around that the IAF is considering asking for a presentation on the F-35 and evaluating it as a likely contender in the fresh round of proposals. My guess is that should the F-35 come onto the scene, the competition for the 120+ aircraft would narrow down to a straight slug-fest between the Dassault Rafale and Lockheed Martin F-35. The French would argue that they have been reliable partners with the Mirage-2000 over the years, and that it would be a logical follow-on order to have a force mix of Su-30 MKIs and Rafales as the cutting edge Fifth Generation platforms, with the upgraded Mirage-2000s and Light Combat Aircraft providing reasonable back up till 2025-2030. There is one hiccup though – there is no French future generation fighter aircraft on the horizon, and with the PLAAF going full steam ahead with the plan for the sixth generation fighter aircraft, the IAF would be forced to lump the current Indo-Russian collaborative FGFA, which according to many has not shown much promise and gained traction within the Russian Air Force itself. Therefore, instead of reducing its supply chain footprint over the years, the IAF will find itself hostage to an unmanageable situation after 2030. The F-35 presents both an opportunity and a challenge. Logically speaking, should India (IAF and Indian Navy) settle for the F-35, it is likely be the largest operator of the aircraft after the US, along with UK and Italy (both 130-plus). The IAF will also benefit from lower fly-away costs as compared to the Rafale due to the sheer economies of scale that Lockheed Martin will bring to the table (till date, it has orders for 3,000-plus aircraft from 12-13 air forces). It will also benefit from a mature aircraft that has undergone much testing and tweaking by not only its US operators, but also by partners like the UK, Norway, Netherlands and Israel, which have already started taking delivery of the aircraft. On the flip side, the Indians will be interested in the F-35 only with a significant Make in India arrangement with an Indian partner, that would include a manufacturing line in India to fulfil orders and service not only India’s requirements, but also those of other operators like Japan, Singapore and other prospective customers in the Indo-Pacific. There is no point in embarking on a blame game for the capability gap that must be managed over the next two decades, as even with the 36 Rafales coming in by 2019, the IAF would have to manage with barely 30 squadrons till around 2025, when the new acquisitions start rolling. However, the single most attractive proposition is that India could explore being an early-bird investor in the US Air Force’s sixth generation fighter programme, irrespective of who wins the contract, as currently many aerospace majors are developing prototypes in the run-up to the competitive phase. This also offers a glimmer of hope for India’s lagging cutting-edge innovation and aircraft industry to make up some ground that it has ceded to China in the last decade. Erstwhile partners could be extremely unhappy, as would elements within India’s ‘establishment’ who have been comfortable with status quo and used to a ‘running with the hares and hunting with the hounds’ strategy even in areas related to defence acquisition. The decision will be a tough one, and in the final analysis, it will reflect on whether India is willing to take a leap of faith with regards its long term strategic interests and strategic choices. Arjun Subramaniam is a retired Air Vice Marshal and a Visiting Fellow at Oxford University. Views expressed are personal. Previous articleSemen-filled balloons or not, why is Holi a free pass to assault women in India? The fantasy that the USA will ALLOW foreign countries to invest in the development or manufacture of its cutting edge aircraft is not justified. The F-22 – a 20 year old aircraft is STILL not for sale. The USAF maintains B-2s, a host of drones and MANY technologies it will not share for ANY PRICE. Even the purchase of old F111 Nighthawks is barred from sale thought it is 40 years old in real terms. 2. The USA will require periodic checks and verification of these aircraft and their operation in Indian Airbases. 3. The USA will require India to sign the CISMOA and other treaties before any such sale takes place. 4. The USA will have a say and the ability to determine where the IAF can operate these aircraft and where it cannot. 5. The USA will control what kinds of repairs, what systems can be tampered with/altered by the IAF. 6. The USA CAN LIMIT the use of the F35 if it is against its interests or against its goals giving the USA veto over IAF ops. 7. The USA will restrict the repair, maintenance and spare parts of F35s to each market based on its PROFIT, not based on employing Indians or supporting MAKE in India. 8. The IAF will be dependent on US/European parts suppliers and not vice versa even if some parts are made in India as major components like Engines, radars, sensors will be made in USA. Ultimately, unlike European Air Forces which are entirely subservient on USA planning and military guidance, the IAF pursues an independent military and strategic policy. Signing on to the F35 will jeopardize this strategic independence and further more will encumber Indian foreign policy to toe the line of the USA on Global affairs or risk jeopardizing the supply of spares and IAF’s operational capabilities. France and Russia though not offering the LATEST and GREATEST in comparison to US aircraft do offer something the F35 does NOT – INDEPENDENCE . No aircraft is worth sacrificing Indian strategic autonomy and the ability to maneuver based on our interests. Finally, 5th generation aircraft offer tactical superiority at the battlefield level – not strategic superiority. As a nuclear powered state, China’s 5th generation aircraft cannot endanger India’s nuclear retaliatory strike and that is the ULTIMATE guarantor of Indian security against China – not 5th generation aircraft. Best Recommendation – Buy Russian S-400/500 SAM air defense systems and invest in 4/4.5 generation aircraft till FGFA becomes viable or AMCA becomes viable. You may be right about strategic independence. But your recommendation is flawed, I think. If China uses stealth fighters then S-400s will have difficulty targeting them. We need something to counter stealth aircraft with. Also, if China does not use a nuclear strike, then our policy dictates that we can’t use nukes either. In a conventional war with China (far more likely than nuclear war), we may need 5th generation fighters/bombers. 1. The addition of a plane from a new nation after already we have russian, french, british fighters poses a logistical nightmare. 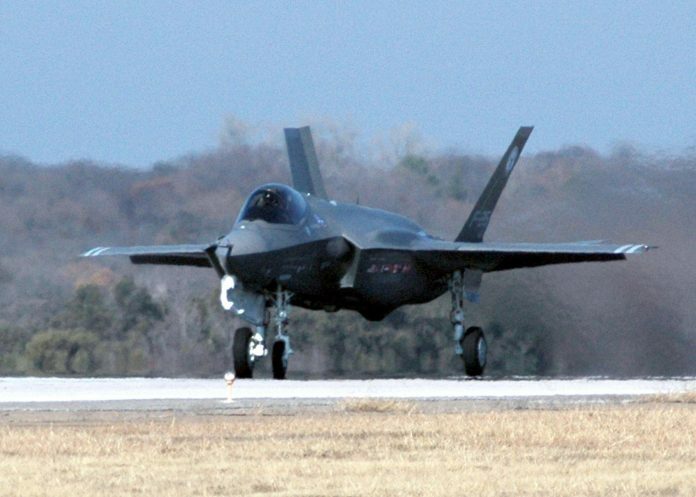 2.the cost of investing in a american aircraft is gonna empty indian foreign reserves after all F-35s major criticism has been its mounting costs to US itself . On the flip-side the advantage of investing in pak-fa can’t be ignored keeping in mind it is noticeably inferior to F-35 but afterall we are going to face chinese J-20s and pakistan f-16 not the dreaded american f-22s or f-35s . Su 30s. we can easily replenish are squandrons with Su-35s Su-50s maintaining the numbers and atleast not inferior to the chinese in tech if not superior. IAF and Russia just need to fully commit to it no more time for waiting as china soon lands its J-20s in tibet. It really bugs me how 11 years have passes and we still don’t know if we will go with FGFA or cancel it , such a poor procurement process.